It is easy to see Google as purely a technology company. However, since the company’s restructuring and the founding of holding company Alphabet in 2015, it has been able to focus in on its healthcare ventures. One area Google is interested in, among its seemingly endless ambitions, is the field of genomics. Part of its wider Google Cloud Platform, Google Genomics intends to help make the world’s genomic information widely accessible and useful to the masses. It harnesses the same technologies that power the company’s Search and Maps platforms to securely store, process and share large datasets. This week Google lent its Genomics platform to one of the world’s leading healthcare research institutes, Stanford Medicine. The collaboration will see Stanford Medicine leverage Google Genomics to build its upcoming Clinical Genomics Service. The service will help physicians at Stanford Health Care and Stanford Children’s Health access genomic data for patients with disorders that may be caused by specific genetic alterations. The information will then join other Stanford patient data aggregated by the Google Cloud Platform. The long-term goal of Stanford’s Clinical Genomics Service is to integrate genetic testing into standard patient care and will essentially help the institute deliver its own brand of precision medicine, analysing big data to gather useful insights and guide tailored care to individuals. For Google, the deal adds another notch to its healthcare belt. In recent years, the company has been spreading its influence in a variety of healthcare fields, including joining the Global Alliance for Genomics and Health, developing a ‘smart’ contact lens for diabetes patients in conjunction with Novartis, and establishing a bioelectronic medicines firm alongside GlaxoSmithKline – all while gradually developing its artificial intelligence division DeepMind Health. For Stanford, the deal will progress its long-term goal of building a substantial genomic database. Oncology is in a period of transition, moving away from the one-size-fits-all approach to a much more targeted approach. One of the most intriguing innovations in oncology to date, which seems to exist on the fringe of reality, is that of nanorobotics. This week saw a breakthrough in nanorobotics technology in a study performed by researchers from the Polytechnique Montréal, Université de Montréal and McGill University. The study, published in Nature Nanotechnology, investigated the use of legions of computer-controlled, payload-carrying bacteria in targeting bowel cancer xenografts in mouse models. The bacteria themselves had the added feature of a chain of magnetic nanoparticles along with numerous liposomes carrying a therapeutic payload. 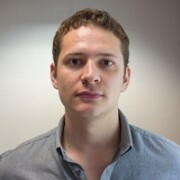 The additional magnetic nanoparticles allowed computer-controlled manipulation of the bacteria through the application of a magnetic field and the bacteria’s own ability to sense regions of hypoxia – caused by the consumption of oxygen by proliferating tumour cells and known to be a contributing factor to tumour treatment resistance – meant that the cancer therapy could be delivered to particularly hard-to-reach areas. The bacteria used in the study were also flagellated, i.e. they had the passive ability to propel themselves through bodily fluids and bury themselves deep inside the mouse tumours. These ‘smart’ bacteria could represent a new market for the pharma industry to investigate, expanding its work in nanomedicine. The most notable nanomedicine currently available is Celgene’s Abraxane (protein-bound paclitaxel), which has been approved by the US Food and Drug Administration (FDA) for treating certain lung, breast and pancreatic cancers. Read the Nature paper here. The Belli sensor is a wearable placed on the skin of the abdomen of a pregnant woman during the third trimester that can track and detect contractions. The information it gathers feeds through to a mobile app and displays the information to the expectant mother in an easily understandable fashion. 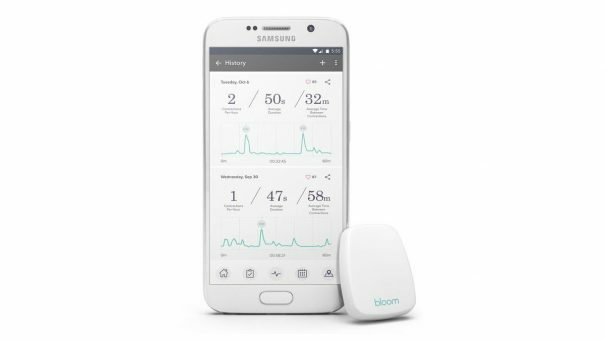 This week, Bloomlife, the company behind the device, raised $4 million to launch its product commercially and develop its technology further. The funding round was led by a number of investors, including Marc Benioff and Efficient Capacity, Hanmi IT and LanzaTech Ventures. The company is hoping to add the ability to track physical activity, stress levels, sleep behaviours and foetal movement to the monitor, as well as to apply for US Food and Drug Administration (FDA) clearance in 2017. Bloomlife’s intent is to create a crowdsourced device for pregnant women. It has already formed notable partnerships with leading institutes to help achieve this goal. The University of California, San Francisco (UCSF)’s Preterm Birth Initiative and the aforementioned Stanford Medicine are two of its partners. The sensor has already attracted honours, including winning the 2016 Extreme Tech Challenge that was hosted on Sir Richard Branson’s Necker Island. Bloomlife’s Belli sensor sticks to the abdomen of a pregnant woman to record contractions. The information is displayed through a companion smartdevice app. Bloomlife’s funding comes at a time when pregnancy and prenatal apps will have seen a peak in interest following the recent Zika virus outbreak – particularly in regions known to harbour the virus. It will face competition from more established names in the foetal monitoring field, such as Nuvo Healthcare and Monica Healthcare, the latter of which has just struck a deal with Philips to integrate its technology into Philips’ Avalon CL product platform.